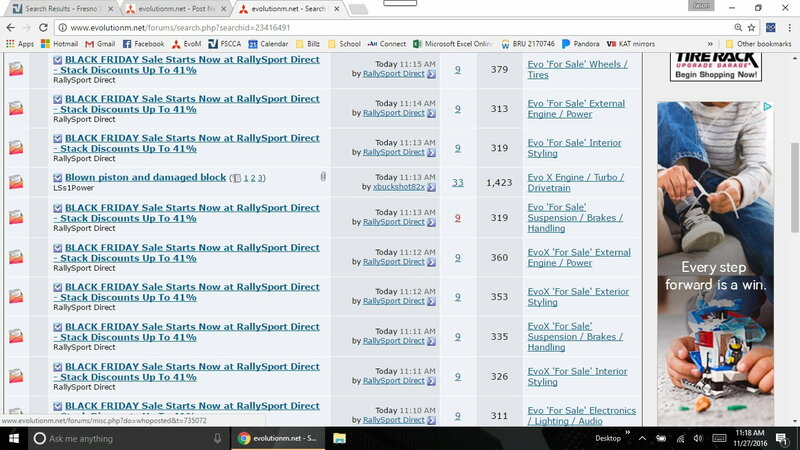 All I see are posts from RallySport Direct and JM Auto Racing. I would be nice to be able to leave these threads out of results. Or is there a "blocked" list we can add them too? Also, does anyone else have an issue of weird pop-ups, when viewing from a mobile device? I keep getting "your phone is infected blah blah". Not sure if it's the site, Verizon, or even my phone LOL. Yea the holiday sale posts are too much. I'll look that up. Is it an extension? I use Chrome on my phone and laptop. Not sure if it will work the same in chrome's incognito mode but I view in firefox on my phone in private mode and it removes 90percent of the garbage that pops up. 600hp possible on 93 possible??? Ralliart 2.4 Mivec Block? Will a Evo 8 Head work on a Ralliart block? Quick Reply: Possible to block vendors?